For the Texas Veterinary Board investigation of Edward J. Nichols at Crestway Animal Clinic, see the official allegations here. For the travesty of the informal conference in Austin where sole board vet Martin E. Garcia DVM of Raymondville, Texas, ignored all documented evidence of Nichols' mistreatment of Suki, see my account here along with the correspondence from the board agency. For a detailed account of the facts and proof that Garcia chose to ignore, allowing Nichols to walk scot-free, read A State of Disgrace: Is the Texas Veterinary Board Really Protecting the Public? For information on the lawsuit Nichols filed against me in his failed attempt to dismantle this site and his failed attempt to get unconstitutional injunctions to try to prevent Suki's Story from being told, see the timeline here. Note: Ed Nichols, Crestway Animal Clinic, and their lawyers failed in their legal attempts to squash the truth of what Nichols did to Suki. There is no judgment, ruling, verdict, gag order or court order controlling the content of this or any of my sites. Never has been. Never will be. Although she was a victim of veterinary incompetence, she’s actually a survivor. She lived long enough to leave evidence of this “doctor’s” treatment from March 22 to April 19, 1999. No one could have expected a cat her age to survive what happened in those four weeks – least of all the quack – Edward J. Nichols, DVM, Crestway Animal Clinic, San Antonio, Texas. But don’t take my word for it. Look at Suki's patient chart and lab work and decide for yourself. These are Suki's complete medical records as released to me by Dr. Ed Nichols, Crestway Animal Clinic. All anyone has to do is look at the lab reports of March 22 and April 19 – the two “bookends” with the four weeks in between. These lab reports are from Idexx Labs, ordered through Crestway Animal Clinic. The first bookend: March 22, 1999. On that day, Nichols administered only 60cc of sub-Q fluids – down from her usual 100 that she had received intermittently (Suki’s Patient Chart, 3/22/99). She receives .2 dexamethasone, and a B vitamin injection, and he takes blood to perform lab work – the first blood work Suki has had since June 26, 1998. The lab work comes back the next day, March 23, with a creatinine of 6.6, BUN of 115, phosphorous count of 10.3, and potassium count of 3.9. We go back to Crestway on March 24 to start home sub-Q fluids. There is no recommendation for or administration of IV fluids (in fact, no recommendation for or administration of IV fluids is noted on the chart or took place at any time in three years). , On March 24, he prescribes home sub-Qs, but there is no notation of the amount, type, or frequency of home sub-Qs that he prescribed. The chart entry says only “fluids” and even on April 7, two weeks later, he still has not noted any prescription for home sub-Qs (Suki’s Patient Chart, 3/24/99, 4/7/99) He also injects her with .5 Winstrol, a steroid, on March 24. Note that her potassium was 3.9 on a range of 3.9 – 5.3 (Lab Report, 3/22/99); I expect that most vets would know that this was borderline low. Also, despite a phosphorous count of 10.3, there is no diagnosis of hyperphosphotemia, and no notation of a recommendation for or a prescription for a phosphorous binder at any time during Suki’s treatment. Also, her TC02 is 10. In June it had been 7. Both low and out of range. 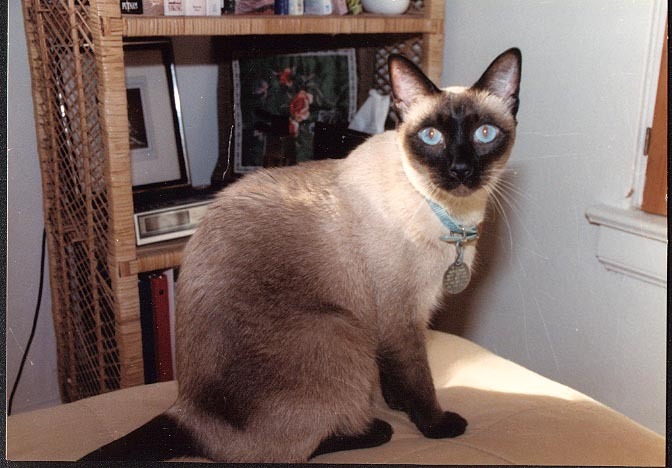 The second bookend, April 19, 1999: Four weeks later, Suki’s creatinine was 9.0, her BUN was 192, and her phosphorous was 17.2. Her TC02 was 8. Worse, with no IV fluids and inadequate sub-Qs (Nichols had prescribed 100cc every third day, but there is no notation of that anywhere on the chart), Suki was “v. dehydrated” (Suki’s Patient Chart, 4/19/99). Suki also had anemia, and never received Epogen for that, nor is there any notation that any was ever recommended at any time. After the single shot of Winstrol on March 24 (Suki’s Patient Chart, 3/24/99), Winstrol was never administered again, nor is there any diagnosis of anemia on Suki’s chart at any time. Without Tumil-K, which Nichols had told me to discontinue on March 24, Suki’s potassium plunged to 2.9 (Lab Report, 4/19/99). How did I not know what was going on? Because there was no blood work, urinalysis, or other laboratory testing or monitoring for those four weeks. While Suki continued to live her life – walking, talking (Siamese), eating, drinking (a lot), playing and going for her daily walks with me – no lab work or other tests were performed. He claimed that they weren’t necessary, or as in the case of April 7, were “academic.” His mantra was, “we could do lab work, it makes the lab happy, they like the business.” I didn’t care about the cost. I wanted Suki to have everything she needed – as she always had. Nichols knew I always got copies of lab work – in fact, I had issued standing orders for that from the beginning, although that too is not noted anywhere. Not being a doctor, I could not interpret a lab report, but I liked to get copies so I could ask questions and keep them on file for future reference. I had always trusted vets to tell me if and when lab work or other tests were needed. If a vet said Suki needed lab work, she got it. If a vet said Suki didn’t need lab work, I didn’t question it because I wouldn’t know what tests to demand even if it had occurred to me that a vet would be withholding monitoring. This “doctor” constantly reassured me that Suki was fine, although there are no notations of Suki’s condition, symptoms, observations, or any evidence of a physical examination during this time (Suki’s Patient Chart, 3/22/99, 3/24/99, 4/7/99). And I believed him. As a layperson, I had no way of knowing what was happening to my cat, and without lab work to monitor her conditions, I had no way of knowing what was really happening. I simply believed what he told me. Trusting Dr. Nichols turned out to be the biggest mistake of my life. As it turned out, Suki had CRF (chronic renal failure), hypokalemia (low potassium), hyperphosphatemia (high phosphorous), and anemia. Again, not a single one of those diagnoses appear anywhere in Suki’s medical records at any time. How could these four diagnoses have been left off over repeated visits during a prolonged period of time – especially those that are as serious and potentially fatal as these? Sloppy records weren’t anything new for Ed Nichols: When I finally saw Suki’s patient chart, it proved that for the three years prior to April 19, 1999, he had recorded no diagnoses except arthritis. Where were the results of Suki’s physical exams? Where were Suki’s symptoms? Where were the notes of her behavior, condition, and demeanor over repeated visits – 13 of them in three years? But again, don’t take my word for it. View Suki's patient chart and lab work (links above) and see for yourself. Further, not one single notation of any discussions with the owner (that would be me) are contained anywhere in the records. This bears repeating: For Suki’s entire patient history at Crestway Animal Clinic between July 1996 and April 1999, there is not one single notation of one single discussion between Ed Nichols and me about anything. Not in person. Not on the phone. Not by email, fax, smoke signals, skywriting, Morse code, or carrier pigeon. There is also no record of any recommendations, prognoses, recheck dates, and not one scintilla of a syllable that I ever refused any treatment or testing of any kind at any time for any reason. Over a three-year period – NO conversations. NO discussions. NO recommendations for treatment. NO refusals of treatment. Nothing. Nada. Zip. Zero. Bupkus. Worse, over that last four week period, what IS noted is the use of steroids – two different types at two different times in two different amounts (Suki’s Patient Chart, 4/7/99, 4/19/99). I have not been able to find any medical backup for the use of this amount of steroid in patients with chronic renal failure. I cannot believe the type of care that was given to Suki. I entrusted Ed Nichols with my most beloved companion and he turned that trust against me. Yes, Suki was almost 20 years old (three months shy of that birthday, in fact), but I expected that everything would be done to help her. Check Suki’s records again. I don’t believe everything was done. But Suki fought, over four weeks and seven different documented methods of questionable treatment: untreated CRF, untreated anemia, untreated hypokalemia, untreated hyperphosphotemia, lack of monitoring, lack of IV fluids, and the baffling administration of steroids. On April 19, when I took Suki to Crestway Animal Clinic because she had collapsed at home, Ed Nichols put my cat in an induction box, gassed her, and performed a tooth extraction (Suki’s Patient Chart, anesthesia, 4/19/99). Why would a vet anesthetize a 20-year-old cat in Suki’s condition? (Suki’s Patient Chart, 4/19/99; Lab Work 4/19/99). Nichols put my elderly cat under anesthesia, using halothane/oxygen/nitrous oxide, while she was “v. dehydrated” (he wrote that in his own hand on her chart, 4/19/99), anemic, hypokalemic, hyperphosphetemic (Lab Work, 4/19/99) – with no IV fluids, no presurgical lab work, no pre-anesthetic evaluation, no potassium supplementation, no treatment for anemia, and no consent from the owner (again, me). It clearly says in the records that Nichols extracted a tooth (Suki’s Patient Chart, 4/19/99) and it looks like there is an “SX” - veterinary abbreviation for surgery. Don’t take my word for it, review the patient chart and see for yourself. It sure looks like SX to me. I never authorized this surgical procedure. I was completely clueless, never imagining he had operated on her under anesthesia. After the extraction, Suki was left in a cage until I picked her up. I was to find out later that the lab work that came in that same day confirmed that she had been in “multiple organ shutdown.” (Suki’s lab work, 4/19/99). In other words, Suki was dying. She was severely dehydrated, with a crashed system that was shutting down. There was no question of any type that Suki was in trouble. Serious trouble. And Nichols knew it. I didn’t. I had no idea my cat was languishing in a cage, in organ shutdown, dehydrated and dying. Despite her condition, there is no evidence of IV fluids, no potassium supplementation, no Epogen, and no phosphorous binder. After dental surgery and anesthesia (Suki’s Patient Chart, 4/19/99), Nichols left Suki in a cage, and me in the dark as to her true condition – again, nowhere in her records or anywhere else is one single notation of a phone call, attempted phone calls, conversations, discussions, communications, or consent of any kind. Like he had done 12 days before, Nichols administered another dose of steroid. This begs the question, which symptom was Nichols treating with this steroid injection? On April 7 he had used .5 Depo Medrol (Suki’s Patient Chart, 4/7/99). But now, on April 19, after anesthesia and dental surgery, Suki was injected with a whole milligram of dexamethasone (Suki’s Patient Chart, 4/19/99). Here is the inexplicable part: Nichols used a long-acting steroid on April 7, and a quick-acting steroid on April 19 after anesthesia and dental surgery. Why the switch? Why the increase in doses? A milligram of dex, injected post-surgically into a dying cat, would certainly make Suki look better, wouldn’t it? A layperson would never know that her cat’s internal organs were shutting down. I had no idea Nichols was pumping Suki full of steroid. Her usual dose was .2mg dex – a treatment plan put in place by her previous veterinarian due to vestibular syndrome. This current “doctor” simply continued that treatment. From 1996 to 1999, there is no notation on Suki's records of her true condition with regard to renal failure, hypokalemia, anemia, and hyperphosphotemia. Why are the diagnoses of renal failure, hypokalemia, anemia, and hyperphosphotemia omitted from the patient chart? What kind of vet leaves that much crucial information off of the records? When Nichols didn’t come to the phone when I called to check on Suki’s condition (one of his techs told me that Suki was “fine!” and I could come and get her) I found out that Suki had not been given any IV fluids, only subQs (Suki’s Patient Chart, 4/19/99). I went to Crestway to find out what was going on. It was 15 minutes before this tech brought Suki out to me. Then Nichols kept Suki and me waiting another hour before he saw us. During that time, I took Suki out of her carrier, placed her on the floor, and watched her drag herself across the floor of Crestway Animal Clinic. That was a horrific sight I will never forget as long as I live. I could not believe this “advice.” That afternoon, after Suki had lay dying in this “doctor’s” clinic for more than six hours, this guy wanted to send my dying (unknown to me) cat home with me, filled with dex (unknown to me) and deprived of necessary treatments – no IV fluids, potassium, Winstrol, Epogen (unknown to me and in direct opposition to my wishes to do “everything” for Suki). No matter how many questions I asked, trying to make sense out of what had happened, he would give some vague, convoluted non-answer. At one point, he reached across the table, took my hands with suspiciously phony-looking tears welling in his eyes, and said, “You, my friend, have done everything you can do.” It was a bizarre performance that had no connection to anything that was happening that day or had happened in the four weeks prior. I pulled my hands away, telling him it didn’t feel like everything. On top of this appalling attempt to placate me, Nichols then tried another tactic. He said that Suki was no longer aware of her surroundings. I asked him what he was talking about. I looked at Suki. She was completely aware, as she remained throughout it all. But she was in trouble and I had no idea how she had gotten that way. Why was he lying about Suki’s level of awareness? Why did he want me to think that she was unaware of her surroundings? And how had things gotten so bad so quickly? Bad enough for this “doctor” to be telling me to take her home and be with her. Suki’s front paws were twisted, facing upwards, her back legs were entwined like rope. I kept asking questions – what about IV fluids? More subQs? More Winstrol? Not being a doctor, I honestly didn’t know what to do. I was just trying to think of anything that would help Suki. That’s all I cared about, all I could think about. I didn’t know about the anesthesia until I picked Suki up from Nichols (Suki’s Patient Chart, 4/19/99). I could not comprehend it. It was unthinkable that Ed Nichols considered Suki a candidate for anesthesia knowing her history of CNS disorder and her present condition. (Suki’s Patient Chart). I did not authorize the dental surgery and I did not authorize the anesthesia. There is absolutely no proof of any consent given by me at any time in the records. Anesthesia. Dental surgery. No owner consent. No IV fluids. No potassium. I had no idea what kind of insanity was going on. All I knew at that time was that somehow Suki and I had ended up with the stupidest vet in the universe. Let me make this completely and unequivocally clear: Under NO circumstances would I have ever given consent to anesthesia of any type, amount, or duration for Suki. In fact, Nichols had hand-scaled her teeth with no anesthesia on January 3, 1998 (Suki’s Patient Chart, 1/3/98). Prior to that, Suki had always had her teeth cleaned under anesthesia – until her vestibular attack and CNS disorder in 1995. Bottom line: Prior to Nichols ever seeing Suki, she was already no longer a candidate for anesthesia. Why had he put her under anesthesia on this particular day? I have no idea. I had followed his instructions for the last four weeks as he reassured me that Suki was doing fine, and now, on April 19, 1999, this “doctor” was telling me it was over? In his exam room, with Suki on the table, he walked over to the far wall, leaned against it, folded his arms, crossed one foot over the other ankle, and watched me closely as I begged for help while trying to figure out what had happened to my cat. He, of course, could afford to sit back and enjoy the show: He knew exactly what had happened to my cat. On that day he had made the decisions as to what treatments he would give without a single shred or one speck of input from me on any of the unilateral treatment decisions he had made. When I packed up Suki in her carrier, he sprang to life, admonishing me, “Don’t put her in a hospital! It’s cold and impersonal and you don’t want it to happen that way!” Why was this guy telling me what I wanted and didn’t want, especially with regard to my most precious companion? Because based on the kind of owner/guardian I was, that “instruction” indicated that he had known all along what I would do with a sick Suki, when that day came: I would get every possible treatment for her, give her every possible chance at life. 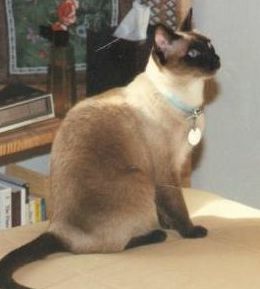 Based on Suki’s previous medical history (she had been at Texas A&M University for 11 days in 1993 for hyperthyroidism, and had been treated intensively for a year for vestibular syndrome and CNS disorder in 1995-1996, prior to Nichols), he had to know I would get her help, had I known Suki’s true condition of “multiple organ shutdown.” (Suki’s Patient Chart, 4/19/99). But I knew none of that at the time. Ed Nichols had performed dental surgery on my cat, under anesthesia, without my permission or even informing me of it. My only goal on April 19 was to get Suki away from him. Turned out that stupidity was this guy’s best quality. Suki could have survived a stupid vet. Then and there I made the decision that this so-called “doctor” was never going to be anywhere near Suki again. By the next morning, April 20, Suki was in bad shape. I got her to a hospital. Suki’s new veterinarian recommended immediate IV fluids. There was one minor hitch: they needed her potassium count in order to know the type of IV fluids to hook her up to – potassium chloride or sodium chloride. At that time I had only the lab work from March 22: I needed the lab results from the day before. I knew lab work had been done – I had paid for it. I called Crestway Animal Clinic from the hospital, to get this information from Nichols who, the day before, had withheld not only IV fluids but adequate potassium. Nichols’ very fidgety, flustered, not-too-bright mother/receptionist answered the phone, and when I told her what I needed, she tried to find out where I was, where Suki was, and where I was calling from. I refused to tell her anything, again asking for the potassium count. She became more agitated and said the “doctor” really needed to talk to me. I told her I didn’t have time to talk to her son – I needed Suki’s lab results. She stalled some more, trying to get me to tell her where we were. After repeated requests by me to give me Suki’s potassium count NOW, she finally released the information that I needed, which I in turn relayed to Suki’s new vet: Suki’s potassium count was 2.9 (Suki’s Lab Work, 4/19/99). The lab report contained a chilling fact: The records show that Suki’s lab results were delivered to Crestway Animal Clinic minutes after we left the day before. Nichols had that lab work in his possession from the afternoon of April 19 (Suki’s Lab Work, Time Stamp 16:17, 4/19/99), and it was not promptly provided to me. Withholding that lab work from me and any prospective doctors who might be trying to help was key, as he stole even more hours from Suki as she lay dying, but pumped full of dex. Remember his admonition of the day before: to not put Suki in a hospital because “you don’t want it to happen that way”? Still, I did not know the full and horrible extent of Suki’s true condition. He himself recorded “multiple organ shutdown” on her chart, based on that same lab work. And he had to know that I would get Suki immediate help, had I known her true condition. That lab work was crucial, and he didn’t send it until I demanded it when I called Crestway from the hospital where Suki now was. How did he dodge the little detail of the time stamp, as confirmed by the lab work he himself had ordered and received the same day, April 19? Very cleverly. In his own written statement to the Texas state board investigators, he cagily refers to “reviewing” the lab results on April 20, the morning after. By cleverly phrasing it that way, are we supposed to believe that he did not know that Suki was dying until the morning of April 20, even though the patient chart entry of April 19 says “multiple organ shutdown” (Suki’s Patient Chart, 4/19/99). Or is he trying to hide the fact that the lab results came back the same day he drew Suki’s blood, he knew full well what the results meant, and never uttered a word to anyone – not even Suki’s owner (me again) – knowing that there was a good chance Suki would not survive the night in multiple organ shutdown, and never even bothering, yet AGAIN, to pick up the phone to tell me anything. My not receiving Suki’s final lab report from Crestway Animal Clinic that day was horrendous beyond words. And Suki’s clock was ticking. Suki could have easily died at any time between being released from Crestway Animal Clinic on April 19 and being admitted to the hospital the morning of April 20, with her lab work being kept from me, and with it the proof of her true condition. Also in his written statement to the state board investigators, Ed Nichols describes first seeing Suki on April 19 “upon admission.” Admission to what? If she was in fact admitted, then why didn’t she get what would normally be construed as proper treatment upon admission to hospital (IV fluids, for starters). If there is anything more despicable than this vet’s actions, I hope I never see it again. Now Suki was in a hospital, where Nichols had “instructed” me not to put her. When this “doctor” realized that Suki was still alive – why would I need a potassium count on a dead cat? – he began calling me, calls that continued all that week as he demanded to know where Suki was, telling me to bring her home and “be with her,” trying to tell me again that she wasn’t aware of her surroundings. He sounded pretty aggravated. In a phone call of April 22, he raised his voice to let me know: “Suki is dying!” He also told me that those “idiots,” as he called the doctors helping Suki, were “stealing your money.” He proclaimed “you can’t reverse the laws of physics!” and “all the fluids in the world aren’t going to help Suki!” He was agitated and completely frustrated that I would not tell him where Suki was, and worse, I was not following his orders to bring her home. Why was he so panicked that Suki was being seen by other vets? Why was he insisting that I stop all treatment and bring Suki home immediately? His off-the-wall statements didn’t bother me nearly as much as his sense of entitlement to tell me what I wanted for my own cat, which just happened to be the opposite of everything the new veterinarians were doing. Too bad he hadn’t clued me in sooner on his screwball philosophy, but had he done so, he knew I would have found another vet immediately. He must have been pretty confident that Suki would be dead before I could do anything he didn’t personally approve of. As inexplicable as it seemed, it finally occurred to me that the only reason this “doctor” could be arguing with me is that something had gone very wrong – for him. When it finally hit, it was incomprehensible. Why had Nichols not provided the same treatment that the hospital was providing? Maybe he was lazy, maybe he didn’t want to, maybe he thought an old cat wasn’t worth it. Whatever the reason, it was completely insane. And completely unacceptable to me. And this egotistical “doctor” wanted me to believe that the hospital was wrong? The more he carried on, the more it became clear to me that what had happened to Suki was no accident. Or maybe Ed Nichols had never been smart enough to realize what Suki needed. Natural. Do you call what is stated on Suki’s records, “natural”? (Suki’s Patient Chart, Crestway Animal Clinic). What Nichols had inflicted on Suki was beyond comprehension, and yet my interaction with him told me that he did not have the capacity to “get it.” After everything he had done to Suki, and not done for her, he was now sermonizing, telling me to remember the word “natural.” I’ll remember it all right. I will remember that word for the rest of my life. From what I could gather, depriving her of treatments over time was preferable (to him) to putting her in the hospital to be treated humanely. At one point he tried to convince me that I had agreed with everything he had done. This was preposterous. In the end, the only place left for him to go was “You agreed!” because he had to shift all responsibility to me for what he alone had done to my cat. It was an act of complete cowardice. To this day, this sorry excuse for a doctor continues to blame me for what he did. The word coward doesn’t even begin to cover it. I told him to never do this to another animal or human again as long as he lived, to never put anyone else through what he was putting Suki and me through. After telling him that he was never to contact me again in any way, and that he was to stay away from Suki and me, the last words I said to him on that day were, “I hope you rot in hell.” And then I hung up. To this day, it still defies all reason how Nichols could defend his actions by claiming that what he had done to Suki and me was somehow for our own good, telling me “I was trying to make things easier on her and on you.” How many other pets and their humans is this vet doing “favors” for? We will never know. As long as people trust and believe whatever he tells them, he is free to do whatever he wants and nobody will ever really know what that is. I certainly didn’t. Suki and I had unfortunately landed in the hands of a “doctor” who had absolutely zero respect for my wishes as a pet owner, and for Suki as a living being capable of thirst and suffering. I believe that my choices, Suki’s choices, were irrelevant to him because HE knew better. Better than I, Suki’s sole guardian for almost 20 years. Better than Suki, who had proven from her medical history how strong and resilient she was. Better than the other vets, who provided her with treatments that he never had. Better than God, who had to have been with her every step of the way for her to survive as long as she did. Better than everybody. Ed Nichols is the very definition of arrogance. But even though I was clueless, Suki wasn’t handicapped by trust. She outsmarted Ed Nichols. Whatever mistake I had made in trusting this “doctor,” he made an even bigger one in underestimating Suki. She became the cat who wouldn’t die. As these horrifying events unfolded, Suki’s refusal to die had landed her in the sight of real veterinarians who began immediate and correct treatments, and for that I will always be grateful. For the next seven days, one stubborn little Siamese fought bravely and without complaint in a hospital that neither one of us had ever set foot in. But there was no time to go vet shopping. I had to trust these new vets while still trying to figure out what had happened to her. I got lucky. Suki’s new doctors were professional, competent, and treated both Suki and me with the utmost respect. I signed every consent form in the place (something Nichols had never used), and told them that whatever Suki needed, she was to get no matter what the cost. At the hospital, Suki was receiving everything she should have gotten from Nichols, and didn’t (Suki’s Hospital Records). Suki’s new vet was her last stroke of good luck on this earth. He was the best of both worlds, combining traditional and complementary methods to do the “everything” I had wanted for Suki, had always wanted for Suki. Every vet who ever knew Suki and me, knew that. After Nichols’ repeated phone calls to me after I hospitalized Suki, I was so worried what he might do to Suki (if he could find her) that I instructed her new doctors not to provide any information to him at my request. As the week progressed, more of the sickening picture fell into place. Not even the most incompetent vet on earth could have “accidentally” done so much wrong, withheld so many treatments, and then gassed her and operated on her while she was in multiple organ shutdown. And if it was accidental, does that make it better? What would you rather have? A stupid vet, or a vicious one? I don’t think there’s much difference when your pet’s life is at stake. At the hospital, Suki was like the tiny seed of a miracle in the making. She was exceptionally weak and depleted, but she was finally getting everything she needed. The new veterinarians who tried to help Suki were the antithesis of the monster who had put her in a box and gassed her. Suki had ethical veterinarians who were recommending actual treatments to me, and then respecting and adhering to my decisions regarding those recommendations, instead of pompously telling me what I did or didn’t want, or performing unauthorized treatments. Her lab results seemed to show improvement. Her creatinine was down to 4.63, BUN was 72, potassium was 4.2, and her reticulocyte count was 4.0 – all improvements from when she was under Nichols “care.” She was being rehydrated by daily IV fluids, and the records show that I took her home every night but one (Suki’s Hospital Records; Lab Work 4/23/99, 4/25/99). Every small victory was a cause for celebration. Suki was coming back. Her new primary vet, filled with hope and positive energy, and armed with all the tools of competent, skilled veterinary care, tried diligently to get her back to the point where she should have gotten these treatments four weeks earlier. She was responding, but she had a lot of catching up to do. Best of all, Suki now had a real doctor and a truly compassionate human being taking care of her – someone who looked not at her age but at her life; a doctor who saw not a worthless old cat but a living, sentient being entitled to quality care; a doctor who was less interested in numbers on a calendar than the will to live shining through a pair of beautiful blue eyes. A real doctor – one not interested in furthering his own selfish hidden agenda at any cost but in affording this incredibly strong and formidable cat every chance at life. It seemed impossible that Suki was beating The Freak, as I call Ed Nichols, and in the end, it was. Not even the indomitable Suki – with the help of four conscientious vets, plus a fifth who consulted – was able to recover. Further, at the hospital, Suki was diagnosed with a fractured mandible – a broken jaw (Notation on Hospital Records dated April 24, 1999 – owner concerned with cat’s drooping jaw – apparent fracture of the left mandible). And still, she never gave up. Suki fought to live, with dignity and grace and a dogged determination that was the hallmark of her entire life. But it was too late. The frail body that had been manipulated by dehydration, untreated anemia, potassium depletion, untreated hyperphosphotemia, dangerous anesthesia, and the methodical and inexplicable switch from short-acting to long-acting steroids – that body could not survive. Suki tried. I tried. Her new doctors tried. It was too late. Her weakness, which I know now was being masked by steroids over those last four weeks, was overwhelming. There was nothing left to do but say goodbye. To try to put into a few seconds’ time the expression of love and joy of almost 20 years. Suki fought until the end, trying so hard to get back to the life that she had loved – one that she was entitled to in the same way that she was entitled to proper, ethical, competent care, no matter what her age and no matter what the selfish and inexplicable actions of a “doctor” who had no right, reason, or permission to do what he did. I could not permit her suffering to continue any longer. Suki died as she had lived, in the arms of the only human who had been privileged to share every day in the life of this remarkable, extraordinary, once-in-a-lifetime cat. Suki was beautiful, smart, funny, silly, grumpy, exasperating, and sweet – a complex creature full of life and energy. She never hurt a soul and did nothing in her entire life to deserve what was handed out to her over such an extended period of time while this “doctor” thoroughly enjoyed my unconditional trust. Trust was the only way he could do what he did. Suki died once. She left this earth with my words in her ear, a final kiss to her furry head, an apology to her for trusting this “doctor,” and a promise that everything would be done to make sure that not one more animal or human would suffer at the hands at this type of “doctor.” This web site is part of that promise. Suki hated tears. Her whole life, tears would cause her to walk away as if to say, call me when you get over it. I had tried so hard to hide them from her for the seven days she fought to get her life back. She had no use for pity, instead living her life with incomparable dignity and incredible strength. In life, she was surrounded by the only things that matter – love, peace, hope, grace, a family who doted on her, and an enormous circle of friends both real and cyber. In death, her soul is bonded forever to a human who loved her, and was loved by her, more than words can say. As anyone who has a companion animal soulmate will tell you, I did didn’t just love Suki with all my heart. She was my heart – and my roommate, my soulmate, my writing partner, my best friend, and now, my guiding spirit. Almost 20 years sounds like a long time for a cat to grace the earth – the more cynical would say too long – but Suki was by no means through with her life. It was stolen from her piece by piece, by someone who took whatever he wanted – public trust as a licensee of the state, client trust if he felt entitled, and worst of all, my Suki. Why did he do it? The monster can’t hurt Suki anymore. But he, and others like him, are still out there every day. Incompetent vets who “treat” our pets’ bodies, but can’t touch their spirits. They can steal our pets’ lives, but not their legacies. They can run away from the truth, but they can never escape themselves. Suki’s gift is that her story has already helped other pets, and it will continue to do so. She lives on in every companion animal who is lucky enough to have careful, compassionate, skilled, ethical veterinary care. She lives on in every guardian’s desire to learn as much as they can, to get second, third, and yes, even fourth and fifth opinions. She lives on in every dedicated pet guardian who knows that knowledge is power, and that sharing that knowledge with others is the most powerful weapon we have to keep our animal companions safe. This is Suki. She was my cat. What to Make of Suki’s Story? Because of her age, it’s easy to jump to the conclusion that Suki was already dying when we went to Dr. Edward J. Nichols at Crestway Animal Clinic on March 22 (Suki’s Patient Chart, 3/22/99). She wasn’t. That was confirmed by Suki’s new primary vet at the hospital when he saw that lab work (Lab work, 3/22/99, the first “bookend”). Suki’s new vet confirmed that she had definitely needed what he and the other hospital vets called “standard frontline defense” treatments for kidney failure. It was the second “bookend” lab work that led to Nichols’ recorded diagnosis of “multiple organ shutdown” (Suki’s Patient Chart, 4/19/99). What really happened was beyond explanation, and illustrated an individual so fully capable of depriving a pet owner of proper and informed choices that the thought of his hands on innocent animals every day makes my blood run cold. As it is, Ed Nichols took a 20 year old viable Siamese cat, capable of responding to standard humane treatment, and did not provide her with intravenous fluids - the same treatments that the hospital doctors administered the very next day. Through four visits in four weeks, Nichols had watched Suki and me, knowing that she was slowly dying, and that I was trusting him. Not trusting him because he was him. Trusting him ONLY because he was a vet. Here is what I get to live with for the rest of my life: Edward J. Nichols, DVM, putting Suki into an induction box where she had to inhale halothane and nitrous oxide while I knew nothing about it. Ed Nichols extracting a tooth without my permission or even having the simple human decency to inform me of anything he was doing to her. Ed Nichols not giving Suki IV fluids after recording “v. dehydrated” on her chart. The unbearable and eternal agony of now knowing Suki lay dying, dehydrated in a cage, at Crestway Animal Clinic, while I had no idea at the time. And these horrifying events are only the tip of the iceberg. And finally, the most bone-chilling knowledge of all: Had Suki not lived long enough to be seen by second opinion vets, I would have never known what had been happening. I must repeat this so you understand: Had Suki died at any time at Crestway Animal Clinic, at home with me, or during the four weeks of March 22 and April 19, 1999, before I got her to other vets – I would have never known what really happened to Suki. As it is, I will never really know how much she might have suffered, but I do know that my grief and pain will never end. I hope you remember Suki’s Story the next time a veterinarian tells you something about the medical condition of your pet or gives you instructions that you follow because you trust him. Is it really true? Do you know for sure? Is it written in the records? Do you get a second opinion or double check the information from another source? Or do you simply and blindly trust it because it’s coming from somebody you think is a “nice guy”? And as for “quality of life,” don’t be so quick to buy into that catch phrase as if you know what it means when a vet uses it to describe somebody else’s pet. Someday a vet may be using that phrase about YOUR companion when it may or may not be true. And that brings me to my final piece of advice: Don’t ever lull yourself into thinking that this can’t happen to you. I would have said the same thing before I was forced to live through this nightmare. My only hope is that Suki’s Story helps somebody reading these words. If only one pet guardian learns something from what happened here, if only one animal is helped by any of this, if only one veterinarian makes the ethical choice to treat our companions as the family members that they are, then my brave and beautiful Suki did not die in vain. On December 7, 1999, I filed a 54-page complaint with the Texas Board of Veterinary Medical Examiners alleging numerous violations of the statutes of the Texas Veterinary Practice Act with regard to what happened to Suki, with the medical records attached that you see in Suki's Story, above. An investigation was opened, and on August 17, 2000, an informal conference was held in Austin, attended by ONE board member Martin E. Garcia, DVM. The other committee members were members of the Board staff and not actual members of the six-vet, three-layperson board and therefore had no final authority over the disposition of the complaint. I was denied my request to have legal representation present at that meeting, nor could I bring anyone else to witness what went on. The meeting is closed to the public, and no record is kept of the proceedings. Without any explanation to me other than "given Suki's age," Garcia dismissed the complaint despite all the evidence of alleged violations of the Professional Standard of Humane Treatment, along with evidence of recordkeeping violations. My repeated attempts over the next three years to get this case reopened failed, and I could get no one in Austin to listen to me with regard to the travesty that occurred at Nichols' conference. Readers can decide for themselves if they believe this system was fair. A State of Disgrace: Is the TBVME Really Protecting the Public? What Happened to Suki...and What Happened to Me: A Timeline - In 2005, Ed Nichols filed a lawsuit against me to try to dismantle this website, force me to remove his name, the name of Crestway Animal Clinic, and to remove all references to his treatment of Suki. The trial court judge denied his request for a temporary injunction, stating in his ruling there was no impediment to my maintaining the web site. The 4th Circuit Court of Appeals affirmed that decision, and Ed Nichols, DVM, FAILED in his attempts to obtain an injunction against me or my web site. See lawsuit information on Nichols' and Crestway Animal Clinic's lawsuit against me here and here.